According to the CDC, 28 people in the United States die in motor vehicle crashes that involve an alcohol-impaired driver each day. This is one death every 51 minutes. Clearly drunk and impaired driving is a huge problem in the U.S. and can lead to serious car accidents or even wrongful death. The following are some more facts and laws about driving under the influence. About six hours is required for the body to eliminate alcohol from its system with a BAC (blood alcohol content) level of .08 g/dL. Damages and deaths caused by drunk drivers cost approximately $52 billion per year in the United States. Two out of three people on average will be involved in a DUI car crash in their lifetime. On average, a drunk driver will drive drunk over 80 times before being arrested once. (2) It is an affirmative defense to a violation of subsection (1) of this section, which the defendant must prove by a preponderance of the evidence, that the defendant consumed a sufficient quantity of alcohol or marijuana after the time of driving or being in physical control and before the administration of an analysis of the person’s breath or blood to cause the defendant’s alcohol or THC concentration to be in violation of subsection (1) of this section within two hours after driving or being in physical control. The court shall not admit evidence of this defense unless the defendant notifies the prosecution prior to the earlier of: (a) Seven days prior to trial; or (b) the omnibus or pretrial hearing in the case of the defendant’s intent to assert the affirmative defense. (3)(a) It is an affirmative defense to a violation of subsection (1)(a) of this section which the defendant must prove by a preponderance of the evidence that the defendant consumed a sufficient quantity of alcohol after the time of being in actual physical control of the vehicle and before the administration of an analysis of the person’s breath or blood to cause the defendant’s alcohol concentration to be 0.08 or more within two hours after being in such control. The court shall not admit evidence of this defense unless the defendant notifies the prosecution prior to the omnibus or pretrial hearing in the case of the defendant’s intent to assert the affirmative defense. (b) It is an affirmative defense to a violation of subsection (1)(b) of this section, which the defendant must prove by a preponderance of the evidence, that the defendant consumed a sufficient quantity of marijuana after the time of being in actual physical control of the vehicle and before the administration of an analysis of the person’s blood to cause the defendant’s THC concentration to be 5.00 or more within two hours after being in control of the vehicle. The court shall not admit evidence of this defense unless the defendant notifies the prosecution prior to the omnibus or pretrial hearing in the case of the defendant’s intent to assert the affirmative defense. RCW 46.61.5054: Alcohol violators—Additional fee—Distribution. (1)(a) In addition to penalties set forth in *RCW 46.61.5051 through 46.61.5053 until September 1, 1995, and RCW 46.61.5055 thereafter, a two hundred fifty dollar fee shall be assessed to a person who is either convicted, sentenced to a lesser charge, or given deferred prosecution, as a result of an arrest for violating RCW 46.61.502, 46.61.504, 46.61.520, or 46.61.522. This fee is for the purpose of funding the Washington state toxicology laboratory and the Washington state patrol for grants and activities to increase the conviction rate and decrease the incidence of persons driving under the influence of alcohol or drugs. (b) Upon a verified petition by the person assessed the fee, the court may suspend payment of all or part of the fee if it finds that the person does not have the ability to pay. (a) Forty percent shall be subject to distribution under RCW ** 3.46.120, 3.50.100, 35.20.220, 3.62.020, 3.62.040, or 10.82.070. (b) The remainder of the fee shall be forwarded to the state treasurer who shall, through June 30, 1997, deposit: Fifty percent in the death investigations’ account to be used solely for funding the state toxicology laboratory blood or breath testing programs; and fifty percent in the state patrol highway account to be used solely for funding activities to increase the conviction rate and decrease the incidence of persons driving under the influence of alcohol or drugs. Effective July 1, 1997, the remainder of the fee shall be forwarded to the state treasurer who shall deposit: Fifteen percent in the death investigations’ account to be used solely for funding the state toxicology laboratory blood or breath testing programs; and eighty-five percent in the state patrol highway account to be used solely for funding activities to increase the conviction rate and decrease the incidence of persons driving under the influence of alcohol or drugs. (c) Pilot programs in King and Spokane counties that are designed for persons with two or more prior offenses in seven years and include evidence-based assessment, enhanced intensive outpatient substance use disorder treatment, monitoring, and, when needed, priority entry into voluntary or involuntary detoxification services or residential substance use disorder treatment, if state funding is provided specifically for this purpose. (4) Fifty dollars of the fee assessed under subsection (1) of this section must be distributed to the highway safety fund to be used solely for funding Washington traffic safety commission grants to organizations within counties targeted for programs to reduce driving under the influence of alcohol or drugs. A minimum of three hundred thousand dollars of these grant funds shall support pilot programs in King and Spokane counties that are designed for persons with two or more prior offenses in seven years, as described in subsection (3)(c) of this section. (5) If the court has suspended payment of part of the fee pursuant to subsection (1)(b) of this section, amounts collected shall be distributed proportionately. (6) This section applies to any offense committed on or after July 1, 1993, and only to adult offenders. (b) Monitoring devices. If the court orders that a person refrain from consuming any alcohol, the court may order the person to submit to alcohol monitoring through an alcohol detection breathalyzer device, transdermal sensor device, or other technology designed to detect alcohol in a person’s system. The person shall pay for the cost of the monitoring, unless the court specifies that the cost of monitoring will be paid with funds that are available from an alternative source identified by the court. The county or municipality where the penalty is being imposed shall determine the cost. (d) Whether a child passenger under the age of sixteen was an occupant in the driver’s vehicle. Upon receipt of a notice from the court under RCW 36.28A.390 that a participant has been removed from a 24/7 sobriety program, the department must resume any suspension, revocation, or denial that had been terminated early under this subsection due to participation in the program, granting credit on a day-for-day basis for any portion of a suspension, revocation, or denial already served under RCW 46.20.3101or this section arising out of the same incident. (10) Probation of driving privilege. After expiration of any period of suspension, revocation, or denial of the offender’s license, permit, or privilege to drive required by this section, the department shall place the offender’s driving privilege in probationary status pursuant to RCW46.20.355. (11) Conditions of probation. (a) In addition to any nonsuspendable and nondeferrable jail sentence required by this section, whenever the court imposes up to three hundred sixty-four days in jail, the court shall also suspend but shall not defer a period of confinement for a period not exceeding five years. The court shall impose conditions of probation that include: (i) Not driving a motor vehicle within this state without a valid license to drive; (ii) not driving a motor vehicle within this state without proof of liability insurance or other financial responsibility for the future pursuant to RCW 46.30.020; (iii) not driving or being in physical control of a motor vehicle within this state while having an alcohol concentration of 0.08 or more or a THC concentration of 5.00 nanograms per milliliter of whole blood or higher, within two hours after driving; (iv) not refusing to submit to a test of his or her breath or blood to determine alcohol or drug concentration upon request of a law enforcement officer who has reasonable grounds to believe the person was driving or was in actual physical control of a motor vehicle within this state while under the influence of intoxicating liquor or drug; and (v) not driving a motor vehicle in this state without a functioning ignition interlock device as required by the department under RCW 46.20.720. The court may impose conditions of probation that include nonrepetition, installation of an ignition interlock device on the probationer’s motor vehicle, alcohol or drug treatment, supervised probation, or other conditions that may be appropriate. The sentence may be imposed in whole or in part upon violation of a condition of probation during the suspension period. (d) “Within ten years” means that the arrest for a prior offense occurred within ten years before or after the arrest for the current offense. (1) A person subject to alcohol assessment and treatment under RCW 46.61.5055 shall be required by the court to complete a course in an alcohol information school approved by the department of social and health services or to complete more intensive treatment in a substance use disorder treatment program approved by the department of social and health services, as determined by the court. The court shall notify the department of licensing whenever it orders a person to complete a course or treatment program under this section. (2) A diagnostic evaluation and treatment recommendation shall be prepared under the direction of the court by an alcoholism agency approved by the department of social and health services or a qualified probation department approved by the department of social and health services. A copy of the report shall be forwarded to the court and the department of licensing. Based on the diagnostic evaluation, the court shall determine whether the person shall be required to complete a course in an alcohol information school approved by the department of social and health services or more intensive treatment in a substance use disorder treatment program approved by the department of social and health services. (3) Standards for approval for alcohol treatment programs shall be prescribed by the department of social and health services. The department of social and health services shall periodically review the costs of alcohol information schools and treatment programs. (4) Any agency that provides treatment ordered under RCW 46.61.5055, shall immediately report to the appropriate probation department where applicable, otherwise to the court, and to the department of licensing any noncompliance by a person with the conditions of his or her ordered treatment. The court shall notify the department of licensing and the department of social and health services of any failure by an agency to so report noncompliance. Any agency with knowledge of noncompliance that fails to so report shall be fined two hundred fifty dollars by the department of social and health services. Upon three such failures by an agency within one year, the department of social and health services shall revoke the agency’s approval under this section. (5) The department of licensing and the department of social and health services may adopt such rules as are necessary to carry out this section. (1) Upon the arrest of a person or upon the filing of a complaint, citation, or information in a court of competent jurisdiction, based upon probable cause to believe that a person has violated RCW 46.20.740, 46.61.502, or 46.61.504 or any similar municipal ordinance, if such person has a prior offense within seven years as defined in RCW 46.61.5055, and where the person has been provided written notice that any transfer, sale, or encumbrance of such person’s interest in the vehicle over which that person was actually driving or had physical control when the violation occurred, is unlawful pending either acquittal, dismissal, sixty days after conviction, or other termination of the charge, such person shall be prohibited from encumbering, selling, or transferring his or her interest in such vehicle, except as otherwise provided in (a), (b), and (c) of this subsection, until either acquittal, dismissal, sixty days after conviction, or other termination of the charge. The prohibition against transfer of title shall not be stayed pending the determination of an appeal from the conviction. (4) Seizure under subsection (3) of this section automatically commences proceedings for forfeiture. The law enforcement agency under whose authority the seizure was made shall cause notice of the seizure and intended forfeiture of the seized vehicle to be served within fifteen days after the seizure on the owner of the vehicle seized, on the person in charge of the vehicle, and on any person having a known right or interest in the vehicle, including a community property interest. The notice of seizure may be served by any method authorized by law or court rule, including but not limited to service by certified mail with return receipt requested. Service by mail is complete upon mailing within the fifteen-day period after the seizure. Notice of seizure in the case of property subject to a security interest that has been perfected on a certificate of title shall be made by service upon the secured party or the secured party’s assignee at the address shown on the financing statement or the certificate of title. (5) If no person notifies the seizing law enforcement agency in writing of the person’s claim of ownership or right to possession of the seized vehicle within forty-five days of the seizure, the vehicle is deemed forfeited. (6) If a person notifies the seizing law enforcement agency in writing of the person’s claim of ownership or right to possession of the seized vehicle within forty-five days of the seizure, the law enforcement agency shall give the person or persons a reasonable opportunity to be heard as to the claim or right. The hearing shall be before the chief law enforcement officer of the seizing agency or the chief law enforcement officer’s designee, except where the seizing agency is a state agency as defined in RCW 34.12.020, the hearing shall be before the chief law enforcement officer of the seizing agency or an administrative law judge appointed under chapter 34.12 RCW, except that any person asserting a claim or right may remove the matter to a court of competent jurisdiction. Removal may only be accomplished according to the rules of civil procedure. The person seeking removal of the matter must serve process against the state, county, political subdivision, or municipality that operates the seizing agency, and any other party of interest, in accordance with RCW 4.28.080 or 4.92.020, within forty-five days after the person seeking removal has notified the seizing law enforcement agency of the person’s claim of ownership or right to possession. The court to which the matter is to be removed shall be the district court when the aggregate value of the vehicle is within the jurisdictional limit set forth in RCW 3.66.020. A hearing before the seizing agency and any appeal therefrom shall be under Title 34 RCW. In a court hearing between two or more claimants to the vehicle involved, the prevailing party shall be entitled to a judgment for costs and reasonable attorneys’ fees. The burden of producing evidence shall be upon the person claiming to be the legal owner or the person claiming to have the lawful right to possession of the vehicle. The seizing law enforcement agency shall promptly return the vehicle to the claimant upon a determination by the administrative law judge or court that the claimant is the present legal owner under this title or is lawfully entitled to possession of the vehicle. (1) Upon the trial of any civil or criminal action or proceeding arising out of acts alleged to have been committed by any person while driving or in actual physical control of a vehicle while under the influence of intoxicating liquor or any drug, if the person’s alcohol concentration is less than 0.08 or the person’s THC concentration is less than 5.00, it is evidence that may be considered with other competent evidence in determining whether the person was under the influence of intoxicating liquor or any drug. (2)(a) The breath analysis of the person’s alcohol concentration shall be based upon grams of alcohol per two hundred ten liters of breath. (b) The blood analysis of the person’s THC concentration shall be based upon nanograms per milliliter of whole blood. (3) Analysis of the person’s blood or breath to be considered valid under the provisions of this section or RCW 46.61.502 or 46.61.504 shall have been performed according to methods approved by the state toxicologist and by an individual possessing a valid permit issued by the state toxicologist for this purpose. The state toxicologist is directed to approve satisfactory techniques or methods, to supervise the examination of individuals to ascertain their qualifications and competence to conduct such analyses, and to issue permits which shall be subject to termination or revocation at the discretion of the state toxicologist. (b) For purposes of this section, “prima facie evidence” is evidence of sufficient circumstances that would support a logical and reasonable inference of the facts sought to be proved. In assessing whether there is sufficient evidence of the foundational facts, the court or administrative tribunal is to assume the truth of the prosecution’s or department’s evidence and all reasonable inferences from it in a light most favorable to the prosecution or department. (5) When a blood test is administered under the provisions of RCW 46.20.308, the withdrawal of blood for the purpose of determining its alcohol or drug content may be performed only by a physician licensed under chapter 18.71 RCW; an osteopathic physician licensed under chapter 18.57 RCW; a registered nurse, licensed practical nurse, or advanced registered nurse practitioner licensed under chapter 18.79 RCW; a physician assistant licensed under chapter 18.71A RCW; an osteopathic physician assistant licensed under chapter 18.57A RCW; an advanced emergency medical technician or paramedic certified under chapter 18.71 RCW; or a medical assistant-certified or medical assistant-phlebotomist certified under chapter 18.360 RCW, a person holding another credential under Title 18 RCW whose scope of practice includes performing venous blood draws, or a forensic phlebotomist certified under chapter 18.360 RCW. When the blood test is performed outside the state of Washington, the withdrawal of blood for the purpose of determining its alcohol or drug content may be performed by any person who is authorized by the out-of-state jurisdiction to perform venous blood draws. Proof of qualification to draw blood may be established through the department of health’s provider credential search. This limitation shall not apply to the taking of breath specimens. (a) If taken at the scene, it must be performed in an ambulance or aid service vehicle licensed by the department of health under chapter18.73 RCW. RCW 46.61.507: Arrest upon driving under the influence or being in physical control of vehicle under the influence, notation required if child is present—Arrest upon drug or alcohol-related driving offense, child protective services notified if child is present and operator is child’s parent, guardian, or custodian. (3) For purposes of this section, “child” means any person under sixteen years of age. No physician licensed under chapter 18.71 RCW; osteopathic physician licensed under chapter 18.57 RCW; registered nurse, licensed practical nurse, or advanced registered nurse practitioner licensed under chapter 18.79 RCW; physician assistant licensed under chapter18.71A RCW; osteopathic physician assistant licensed under chapter 18.57A RCW; advanced emergency medical technician or paramedic certified under chapter 18.71 RCW; or medical assistant-certified or medical assistant-phlebotomist certified under chapter 18.360 RCW, person holding another credential under Title 18 RCW whose scope of practice includes performing venous blood draws, or forensic phlebotomist certified under chapter 18.360 RCW, or hospital, or duly licensed clinical laboratory employing or utilizing services of such licensed or certified health care provider, shall incur any civil or criminal liability as a result of the act of withdrawing blood from any person when directed by a law enforcement officer to do so for the purpose of a blood test under the provisions of a search warrant, a waiver of the search warrant requirement, exigent circumstances, or any other authority of law: PROVIDED, That nothing in this section shall relieve such licensed or certified health care provider, hospital or duly licensed clinical laboratory, or forensic phlebotomist from civil liability arising from the use of improper procedures or failing to exercise the required standard of care. 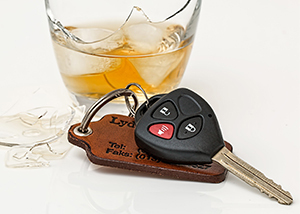 If you are injured by a drunk or impaired driver, you need an experienced and knowledgeable personal injury lawyer in Spokane on your side. The attorneys at Parke Gordon Law Firm will work hard to get you the compensation you deserve. Contact the law office of personal injury attorney Mat Parke today for a free consultation. This is your opportunity to speak with an experienced personal injury attorney about your case for free. Call (509) 482-7274 to get started on receiving a fair settlement from your personal injury case. e Van Tuyl, Christine. Drunk Driving. Chicago, IL: Greenhaven Press, 2006. Drunk Driving.” NHTSA. Accessed: June 10, 2017. Drunk Driving Statistics.” MADD. 2015. Accessed: June 10, 2017.